Switch up your basic jeans this season doll. 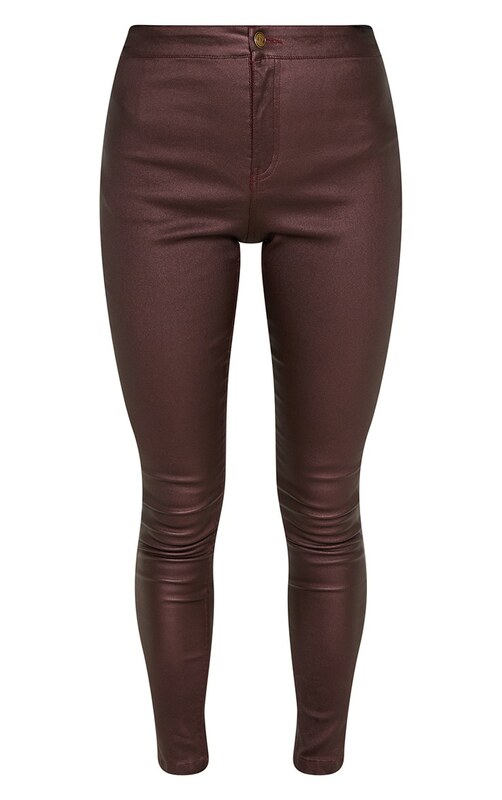 Featuring a burgundy coated denim fabric with a button fastening and figure-skimming fit, what's not to love? We love this styled with a slogan tee and chunky sneakers for a foolproof casual style.